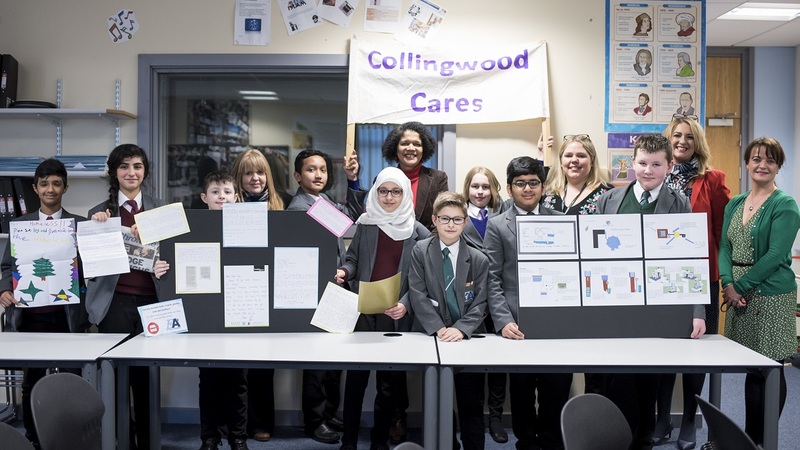 Local MP Chi Onwurah heard from children who have been working with local employers as part of an initiative to transform learning in the North East. National education charity the Edge Foundation, have partnered with the North East Local Enterprise Partnership (LEP) to pilot the teaching model in three schools in the region. 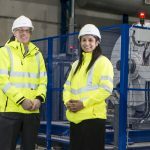 They invited Chi Onwurah, MP for Newcastle upon Tyne Central, to meet students and teachers from Excelsior Academy in Newcastle, Norham High School in North Tyneside and Churchill Community College in North Tyneside, who began projects in September last year. Students in years 7-9 have been learning about subjects like local history, digital technology and sustainability via projects run in partnership with local businesses. The approach encourages children to develop critical skills such as team-working, communication and problem-solving, see the relevance of what they learn to the real world and gives them insight into the world of work. Chi saw presentations by the students at a showcase at Excelsior Academy and met teachers and staff from the schools.